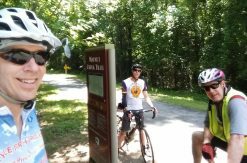 This is the second of a three-part series about the different trail areas covered in the second edition of the Uwharrie Lakes Region Trail Guide. The guidebook is organized in sections, one for each geographic area containing trails. Sections are ordered alphabetically, making it easier to find a specific trail area when flipping through the book. 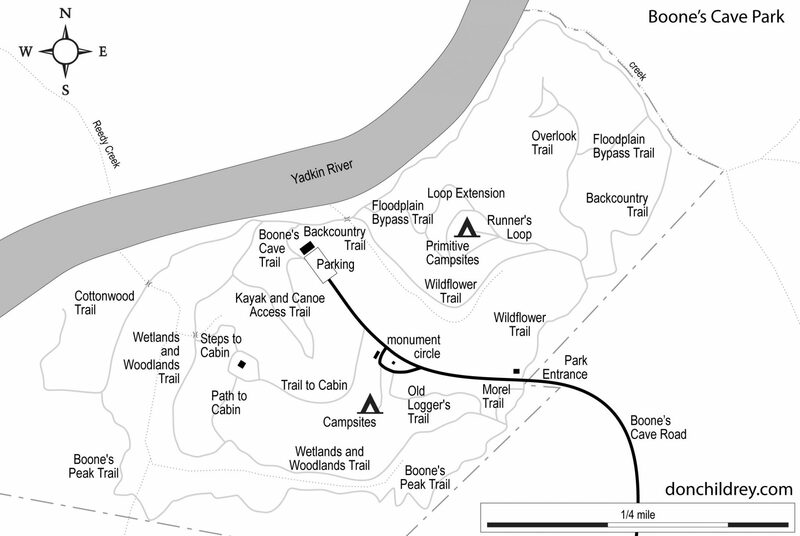 Boone’s Cave Park is a small Davidson County park located on the east bank of the Yadkin River. The name comes from a small cave overlooking the river that was rumored to have been used by Daniel Boone’s family in in the 1750’s. 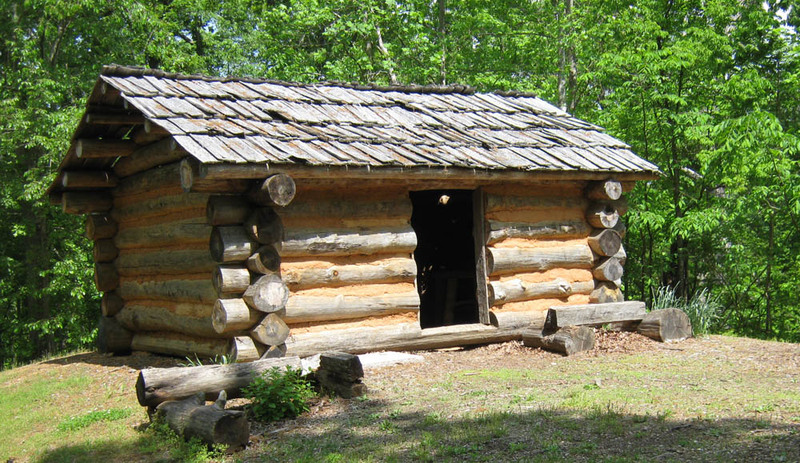 The park features 3.5 miles of hiking trails, a nice picnic pavilion, campsites, and a 1740’s-style log cabin. The state’s tallest Cottonwood tree can be found in the park. 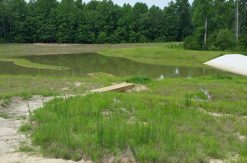 Denson’s Creek Area is located just east of Troy, NC. The collection of trails in this area are managed by the USFS and the Town of Troy. 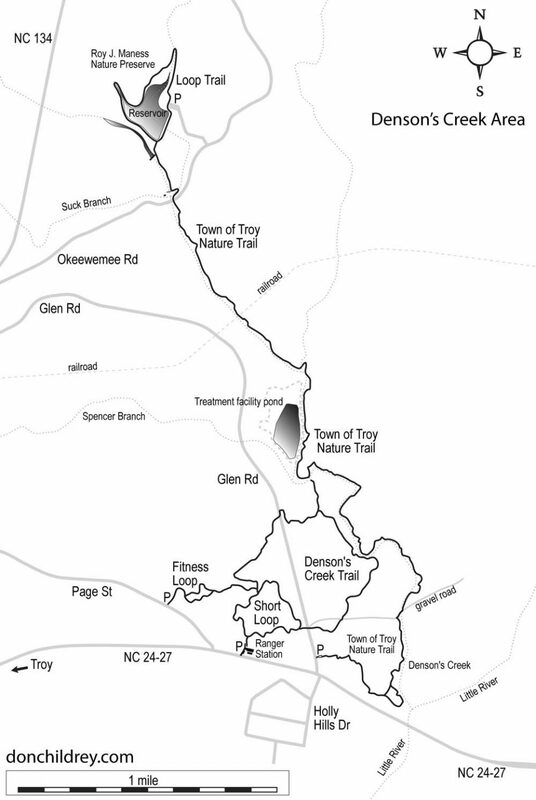 The longest trail is the Town Of Troy Nature Trail, which follows Denson’s Creek from the Roy J, Maness Nature Preserve to the confluence with the Little River. Parking is available at either end, as well as at the USFS Ranger Station. The USFS and Town trails do not officially connect, but a gravel road crosses both sets of trails and offers an easy way to connect them. Several of the Trips detailed in the guide use this gravel road to create a loop hike. Morris Mountain Area lies in the middle of the Uwharrie Trail corridor, just north of highway NC 109. The USFS manages this area. 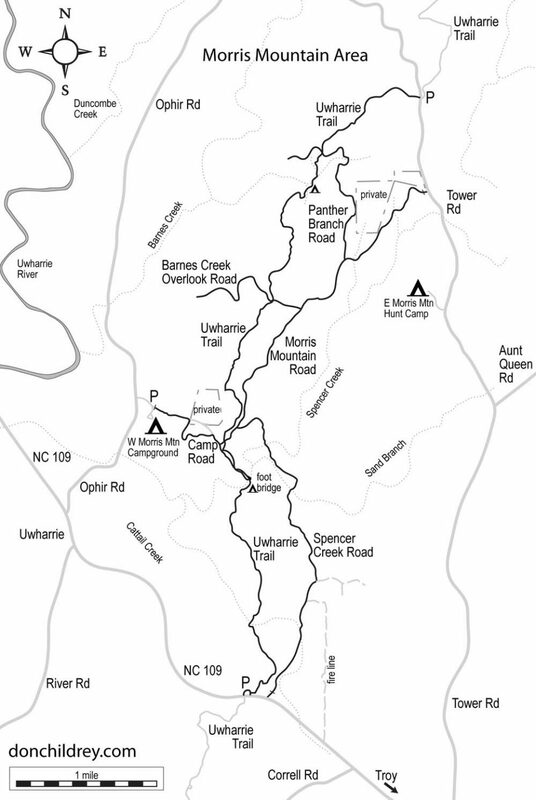 The Uwharrie Trail is the primary trail running through this area, but there are several logging roads and old woods roads that create loop hike opportunities. 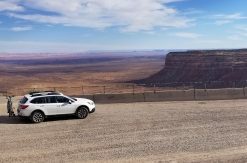 Two less-developed hunt camps, one on each side of the area, offer car-camping options to compliment the backcountry campsites along the trails. The West Morris Mountain camp does have picnic tables, tent pads, and vault toilets, but does not have a water source. In the third part of this series, I’ll cover Morrow Mountain State Park, the NC Zoo Park, the Uwharrie Trail, and the Wood Run Area.